If you are looking for a particular canvas size for your artwork then come into Eckersley’s. We offer a complete custom canvas stretching service to suit the size of canvas you have in mind. 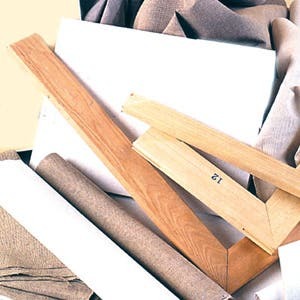 We can stretch canvases in any size using standard Lightweight Pine or if you prefer a better quality stretcher we can use Professional Quality Pine or Western Red Cedar. Canvases can be stretched using primed or unprimed cotton duck, linen or pre-printed canvases. You can find custom canvas stretching services at our Prahran, VIC store.